This was a wonderful gift for my daughter's birthday! 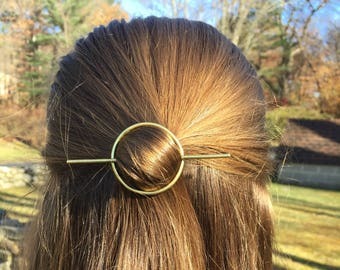 She LOVES it, and it works great in her hair! It arrived on time, and I would order from this shop again! 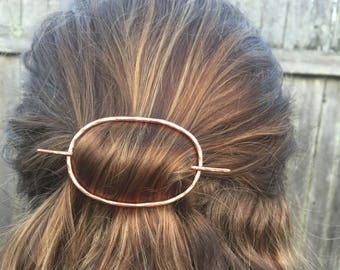 Textured copper triangle hair slide Find your own signature look, with my handmade hair jewelry! 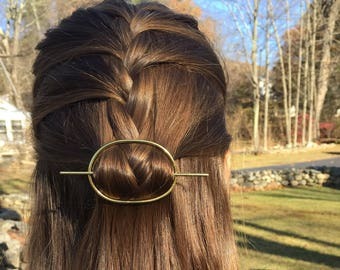 The perfect way to hold hair back and still look put together! 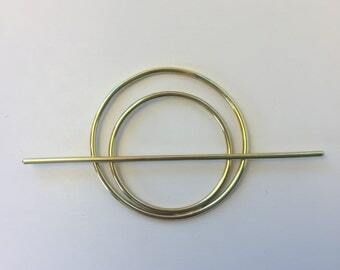 This is the 3” smooth German silver hair pin. Can’t you feel the love and good vibes going on in my studio? 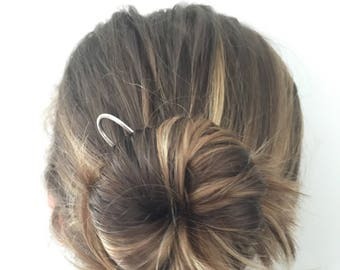 My name is Erica, I'd like to welcome you to my shop, SophisitcatedSimply. I have been creating since I was a small child. I'm so fortunate to have my studio space within the walls of my warm, loving home, nestled in the beautiful foothills of Connecticut. My studio space is very tranquil and serene, which allows me to create from a place of love. I'm inspired by natural, organic shapes as well as simple geometric patterns. I am thrilled to be doing what I absolutely love to do and ecstatic to be sharing it with all of you. I hope that all of the love and passion that I feel while I'm creating, translates through my work and to you! Thank you for stopping by! Please check back for shop updates and new designs! My name is Erica, I would like to welcome you kindly to my shop, SophisticatedSimply! 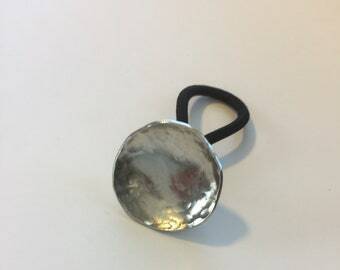 Included with every piece is a raw metal care card and polishing cloth. Raw Metal Care: Wash with mild soap and water. Pat dry with a soft cloth. Allow to dry completely prior to storing. 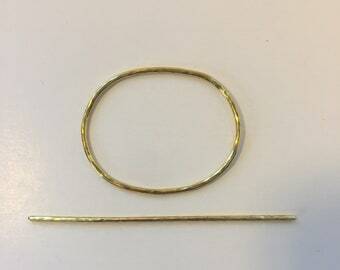 Tarnish Removal: Choose to allow raw metal to oxidize naturally, or choose to polish, with enclosed cloth. 0000 Steel wool can also be used to polish more stubborn oxidation. It is recommended to polish before and after each use. 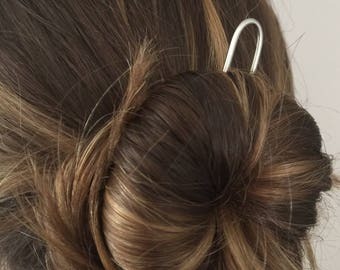 Will hair jewelry work in my very thick and heavy hair? Everyone's hair is different. 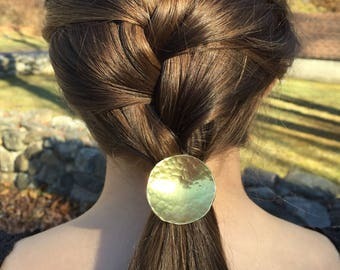 If you have very thick, heavy hair, you may want to opt for brass or German Silver. 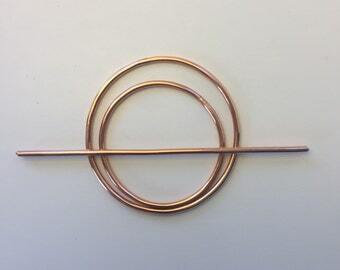 Copper is the softest, most bendable metal that I work with. 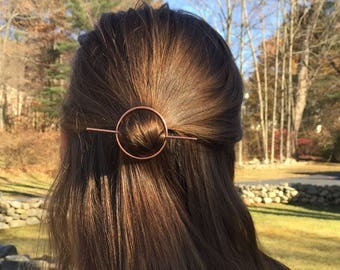 Copper works fine in my own curly, medium-thick hair. 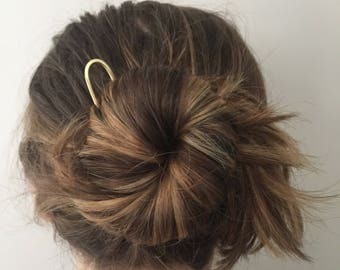 I can't say if you will work for your hair. You are welcome to try and return within 3 days of receipt if you find that it does not work well for you. Refunds do not include any shipping. 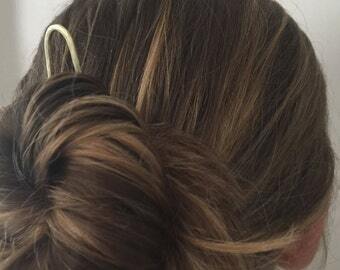 What happens my hair tie breaks, or wears out? 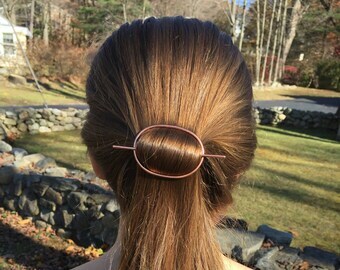 You can easily thread a new hair tie through the loop on the back of the dome!